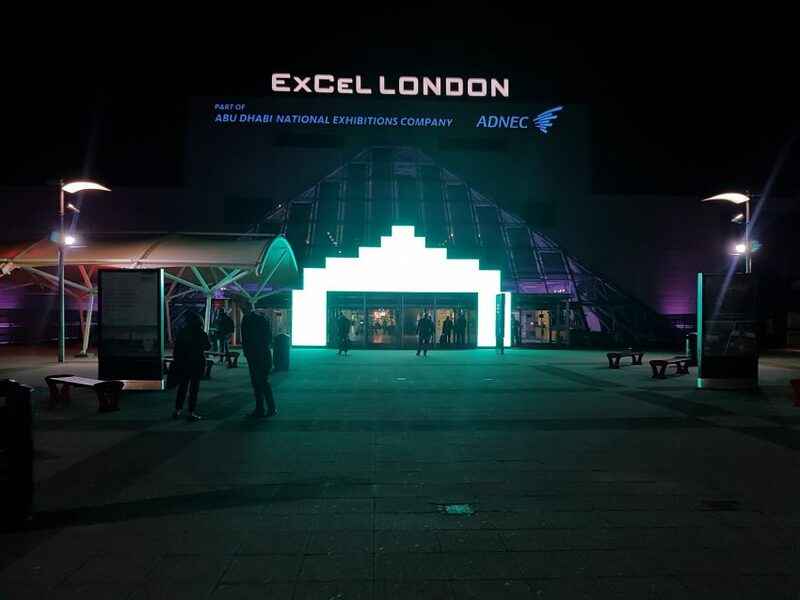 As Programme Lead for e-LfH and Product Owner of the Learning Solution, I was lucky enough to attend the Learning Technologies Conference and Exhibition at London’s Excel arena last month. It is important for us as a team to be aware of developments in the industry, as there may be lessons that we can learn from others and new ways of working that we can implement to benefit our user base. This was the first time Learning Technologies had been located at the Excel arena, having previously taken place at Olympia. The exhibition has grown as the number of providers in the market has exploded and this year was no different. This is understandable as the internet has already changed almost every aspect of our lives and the way we learn is no different, so there are more companies operating in this space than ever before. Of the companies that were there, it was striking how many were touting Artificial Intelligence (AI) in their products. It has been talked about for a long time, but the evidence is there that the talk is turning into action and AI is being used for real. I do think that there are a fair few companies peddling AI-flavoured snake oil but in most cases there is definite substance behind the sales patter. I think that AI can bring massive benefits to the learning space around data analytics, personalisation of the learning experience and using natural language to interact with systems. We have done a few pilot projects to explore the potential of AI and will be making it a key area of interest in the Learning Solution development. Being so heavily involved in the Learning Solution project, I spoke to lots of learning platform vendors to see what they were doing with their products. One trend was the use of a new term, “learning experience platform”, or LXP. This was an attempt for vendors to differentiate themselves from the old Learning Management System (LMS), which is understandable as research from the Fosway Group shows that 50% of people don’t think that their current learning platform is fit for the modern workforce. (link: http://www.fosway.com/research/next-gen-learning/digital-learning-realities-2019/). However, are these platforms really that different? I think some of this is marketing but there are trends that could be picked out from some of these new LXPs. They all went beyond tracking formal learning, often allowing users to contribute their content to the platform or enabling easy communication between staff in an attempt to capture and surface the tacit knowledge that exists in organisations. This was reassuring to me as it is one of the key drivers for our development of the Learning Solution. In terms of the visual design and user experience of these platforms, many of them have large volumes of content and the used carousels to display it all. We could play many games of buzzword bingo as almost every single conversation referenced “the Netflix model”. Unfortunately, we are also guilty of that, as we have looked at how Netflix organises and displays all its shows to users. Users have many influences in their digital lives that all contribute to what each user expects when they are interacting with a system and that also applies to their learning. Therefore, we want to design a system that takes visual cues from other systems that people access on a daily basis, like Spotify, Netflix, Amazon and Facebook, so that the visual language that we use is familiar to them and they don’t have to ‘learn’ how to use the Learning Solution. I was envious of the budgets of some these organisations – one vendor said that they had just added 12 people to their Innovation team, which is not something that we can do – but I know that we have a dedicated team who are experts at what they do, and there was nothing that I saw from the various companies there that I thought was beyond our team’s capabilities. We are developing a new system that will be the equal of anything out there, and I’m delighted to be part of that journey.